Tom Horn Gaming is one of the online games providers that focuses on online video slots. They have published many interesting titles so far, and another one is just around the corner. The winter is coming, and we all need to play something that will give us the specific “winter” feeling that we get when snow falls and Christmas comes. 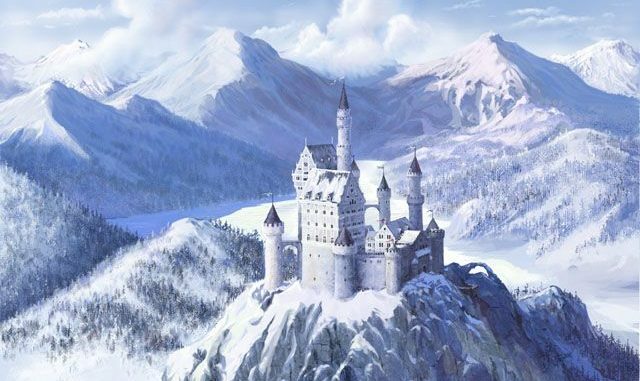 However, Tom Horn Gaming wanted to combine magic and made-up realms, thus creating a slot called Frozen Queen. It’s pretty obvious that the main source of inspiration for them was Frozen the cartoon since the central character is a queen that has the power to freeze things. Apart from the great idea, the slot will also be quite generous, and players will have an opportunity to win lucrative prizes, including extra spins and wilds that are both sticky and expanding. When you start the game, you will see that the base game contains two special symbols, and both of them are scatters. They are, in fact, magic crystals which you can land on the reels and activate 10 extra spins. Once this feature becomes activated, a new special symbol is introduced to the reels – the Frozen Queen herself. However, that is not the only thing, because one more reel will appear during this feature. The grid becomes a 5×3, which is 4×3 in the base game. The Queen is a wild, and it will substitute all other symbols except for the scatters. This will help players win larger prizes if they are lucky enough to make a well-paying combination of symbols. Tom Horn Gaming issued an official press release, and they stated that the extra spins feature would regularly show up and increase the number of chances for the players to win. There are 81 possible payways in the base game, and this number is extended to 243 once the extra feature becomes activated. The bonus game adds not only to the possibility of winning big time but also to the excitement. The Frozen Queen symbol adds to the game dynamics, and everything becomes much more interesting. The symbols in the game are also very interesting, and you can find some winter animals as the main high-paying symbols. They are a polar bear, a white tiger, a white wolf, and a white owl. The highest paid symbol in the game is the white tiger, which will bring you a 32x coin win if you manage to land five of them on the reels. Apart from being very generous and interesting to play, the game is also visually impeccable with great details and sound effects that are pretty realistic. Furthermore, the mechanics of the game is excellent, and it will keep the players involved for hours. Prepare for a great winter-themed slot and the winter that is ahead of us by playing the Frozen Queen slot by Tom Horn Gaming.